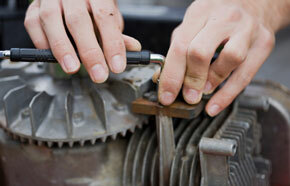 We pride ourselves for being able to diagnose the problem with your equipment. We are not just part changers, and yes, it does make a difference. For instance, instead of replacing a complete engine or assembly item, the problem could actually be an adjustment problem or taking the time to individually price out what a piece of equipment might require for a repair. That's the difference between having someone that has experience in small engine mechanical work, versus someone less experienced. 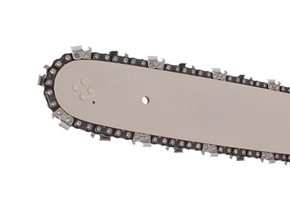 Here at Mid Coast Mower & Saw, we sharpen literally thousands of chainsaws every year. If you bring your chain in during the week, you will typically have a sharpened chain ready to be picked up by mid-morning the next day, (except Saturdays). 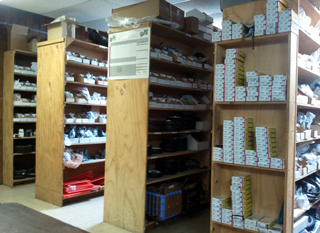 We carry a good selection of parts for the brands that we carry. We also have access to many other brands (but not all) and can usually order and have in your hands within 24 to 48 hours from your ordering time. If we special order a part that we do not stock, we ask that you pay for all special orders when making the request. We will need your brand, model and serial number to help looks up parts you may need. Keep your equipment running efficiently and avoid down-time. Preventative maintenance can save you time and money. The California fuel today is sometimes your equipment’s worst enemy. 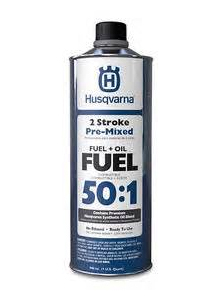 Fresh fuel is priority one, when dealing in small engines, both 2- cycle and 4-cycle. Diaphragms and fuel lines dry out with no fuel and if you leave fuel in your machine for long periods of time it tends to gum up your carburetor. 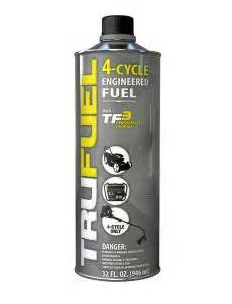 There are now Benzene Free (non- Ethanol) products on the market that are recommended for times when you are not using your 4 cycle or 2 cycle piece of equipment for long periods of time. At Mid Coast Mower & Saw, we carry these products in our store for your convenience. They are readily available by many manufacturers as well. We are an authorized warranty repair service center for the following brands we sell. Customers who purchase power equipment from us will receive priority service in our warranty repair department. We welcome warranty service requests for equipment purchased from other vendors, and will schedule service appointments as our shop schedule allows.